3. Some other smaller features which I will keep a surprise. Should be available in a few weeks. 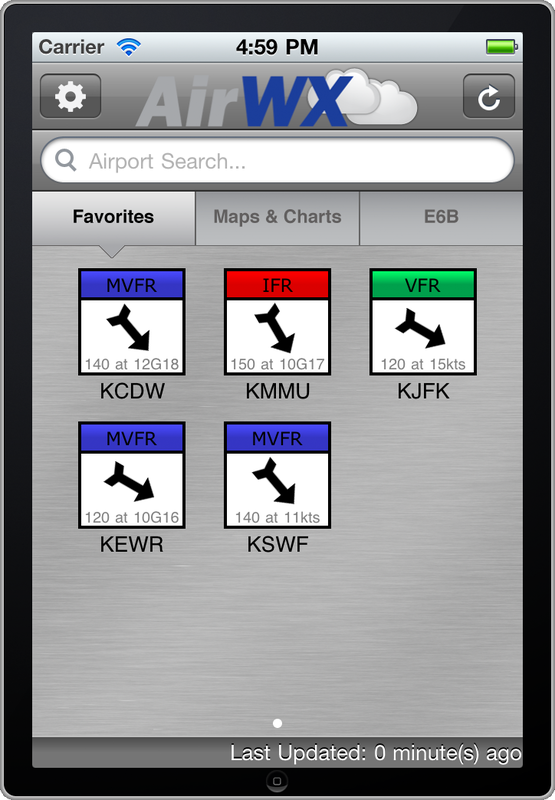 We are working to get a new version of the AirWX for Android. Keep watching here for updates. 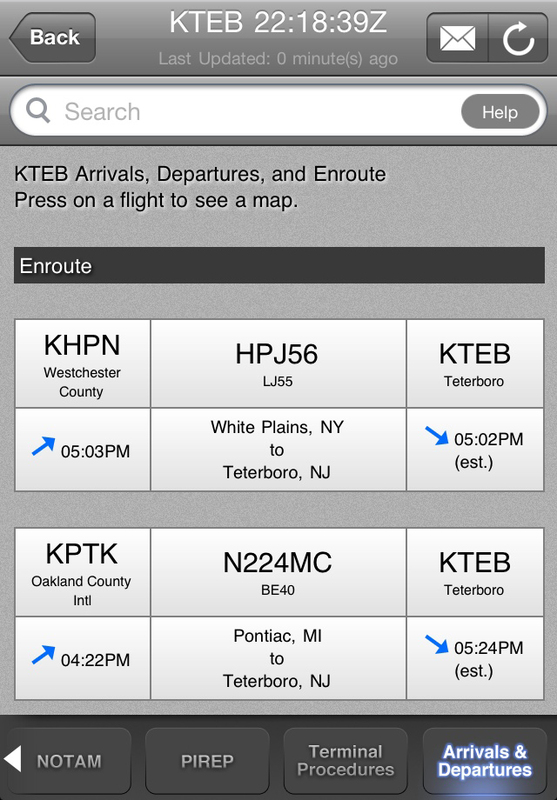 A bunch of fixes, and a new feature: Arrival, Departure, and Enroute information for airports. I’ve decided to make this a paid in-app purchase. Right now it will cost $3.99. Please do not e-mail complaining about the price, or that this should be a free update. I don’t get this data for free. It costs me money EVERYTIME you click to get Arrival, Departure, and Enroute information. I’m not asking that you pay a monthly fee for this, but rather a small one-time fee of $3.99. AvCharts 1.5 has been submitted to Apple for review. We have added AirPrint functionality to the app. You can print all your charts and have a paper copy as a backup! E-mail METARs, TAFs, NOTAMs, and Winds Aloft to yourself or someone else. Change Wind Arrow to either show direction from or direction to. 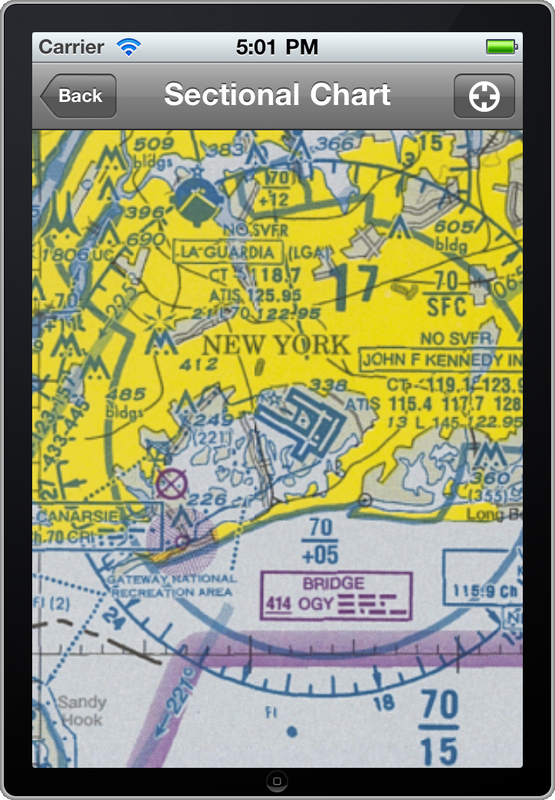 Nearest Available TAF will be displayed for airports without TAF reporting. Airports that have Automated Weather now show a METAR. Please go an update your AirWX to version 2.0.1. It fixes the issues addressed in my previous post. Sectional Charts causing Application to crash. Favorites Arrows showing Wind From Direction have been changed to show the Wind Vector. Complete RAW TAF will be displayed on top of the TAF screen. I have submitted to Apple for review. Update should be available soon. AirWX version 2.0 is out! Go to the App Store to update. I’ve already received reports of the sectional charts crashing iPod Touches. I am working on a fix. 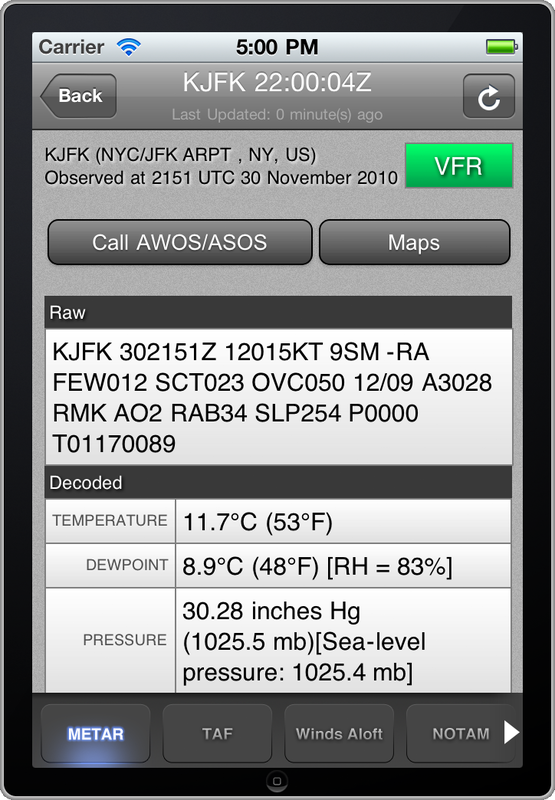 AirWX 2.0 for iPhone has been submitted to Apple!